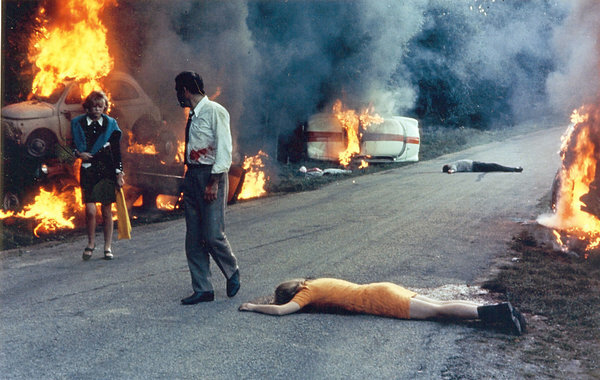 Set largely on the French countryside, Jean-Luc Godard's Week-End is an experimental and challenging work that questions the seemingly senseless nature of modern life. The film follows a philandering middle-class couple as they head to the countryside to help an ailing family member meet his impending demise. Why? They wanted to expedite the inheritance process. Their adventure turns into more than they bargained for as they encounter a series of bloody car accidents, violent revolutionaries and historical reenactments that offer meditations on class struggle. 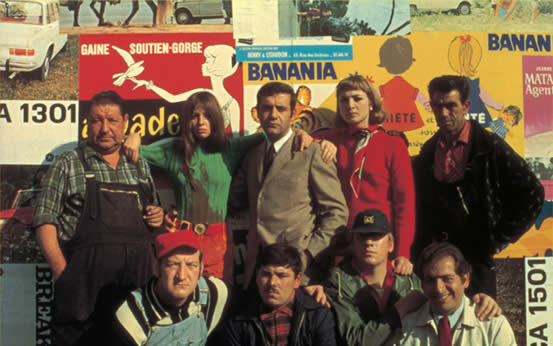 A black comedy at its core, Week-End is one of Godard's noteworthy features. Fashion wise, the film features an impressive array of 1960's clothing. The exquisite styling offers a wealth of ideas as the sunglasses, dresses, skirts, shoes and haircuts are timeless. Released in 1967, Week-End stars Mireille Darc, Jean Yanne, Jean-Pierre Kalfon, Yves Afons and Juliet Berto.